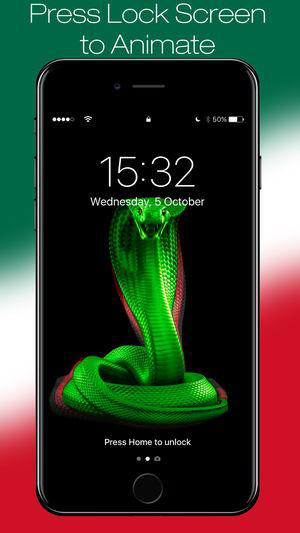 Do you know that an iPhone wallpaper tells a lot about you? Everyone loves beautiful eye-catching photos. It will always give you a good mood when you see your favorite live wallpaper every time unlocking your iPhone screen, and it adds up to the look of your device. Yet it’s disappointing that iPhone has such a limited collections of wallpapers available. Luckily the App Store is full of applications offering various live wallpapers, but it’s difficult to find the best one for the users. But Don’t worry. We have got you covered. 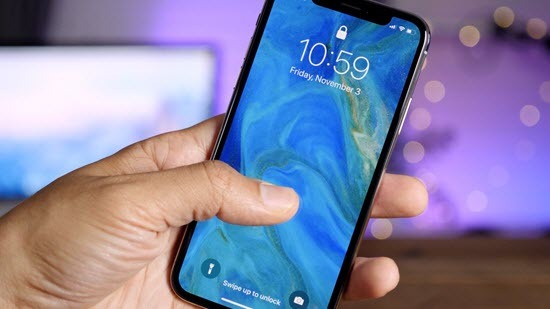 Here we present the best live wallpaper apps for all iPhones like iPhone XS Max, Xs, X, 8, 8 Plus, 7, 7 Plus. Just read on to get the most suitable one and enjoy amazing live wallpapers on your new iPhone in the near future. 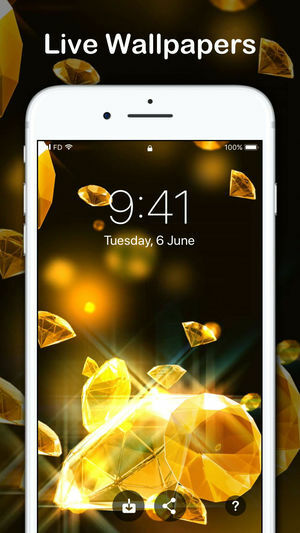 This iPhone live wallpaper app contains a mass of beautiful wallpapers, animations and dynamic themes. There are numerous categories available in this app like time lapse scenes, abstract, nature, landscapes, pets. There is also a premium version of this application available which brings the best premium high quality wallpapers. The app runs perfectly on iOS devices with iOS 9.1 or above, including the latest iPhone X, iPhone 8 and 8 Plus. There are many language support in this application like Thai, Spanish, German, Korean etc. Looking for an amazing live wallpaper application for your exclusive iPhone or iPad? 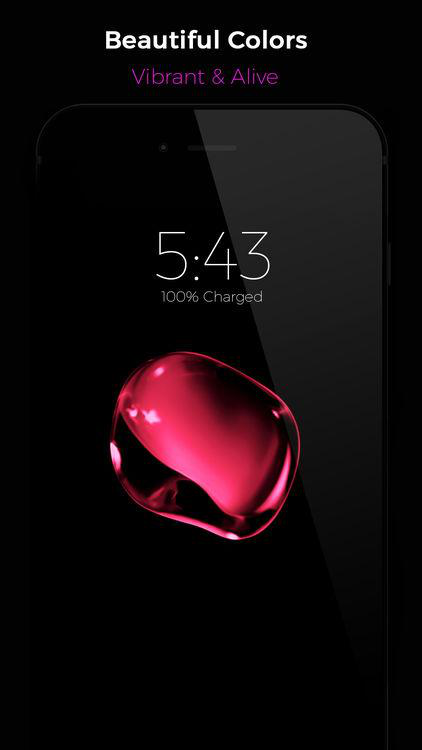 Then Live Wallpapers for iPhone HD brings huge professionally designed stunning wallpapers for you. The app bags a rating of 4.5 from almost 3k users. It also has a pro version which unlock all the wallpapers for you, and the subscription mode is either weekly or yearly, which allows user to cancel anytime without any charges. The app runs fabulously in iOS 9.3 or above and is fully compatible with iPhone, iPod and iPad. Language is in English. With the rating of 4.6, Black Lite is one of the leading live wallpaper application for your iPhone and iPad. 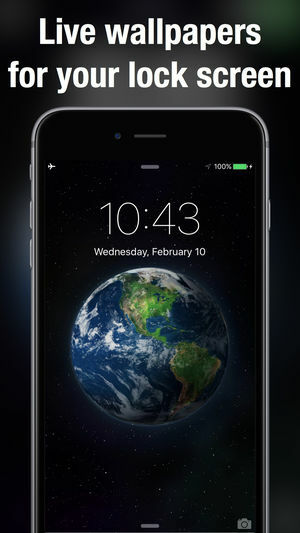 This app contains the most stunning iPhone live wallpapers that you would love to see. This app has a premium version also, which allows users to give a personal touch and customize according the themselves. And it has a big library of the beautifully designed images. But remember if your device doesn’t support 3D touch you will not be able to set live wallpaper. The application support many languages like, German, Italian, Hindi, Russian etc. User must have iOS 9.3 or above to run it on device. The Themify application is one of the best live wallpaper apps for iPhone in the App Store, with the rating of 4.3. This app consist of high quality eye-catching wallpapers. They have a huge category of wallpaper themes like cartoon, abstract, nature, landscapes, cityscapes, etc. You can set them for your lock screen or home screen. This application is available in various languages like Dutch, French, German, etc. Coming on to the compatibility: Your device should running on iOS 9.1 or higher. Live Wallpapers & Backgrounds contains more than 100 professionally designed live wallpapers for iPhone. They have huge categories to choose from trees, aquariums, coral reefs, fires, beaches, natures, landscapes, 3d patterns, etc. You will never get bored from their collection. The application requires iOS 9.1 or above and is fully compatible with your iPhone and iPad. The app comes with many language supports like French, German, Japanese, etc. This ThemeBoss application offers various beautifully designer wallpapers to give your iPhone a classy look and to stand out of the crowd. 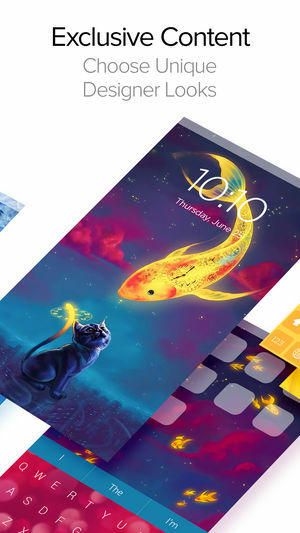 Some of their famous designs are, Snake Moving wallpaper, fire live wallpaper, moving shark wallpaper, dancing girl live wallpaper etc. The developer is so active that they keep adding some great animations every week. This application is available in many languages like Spanish, German, Chinese etc. To run this application on iOS device, a user must have iOS 9.1 or above. Also this application is completely compatible with iPad and iPhone. Users love this applications because it enables users to set up personalized customized wallpapers. One features of this app is Automatic face feature detection. With it, users can import photo directly from iPhone, export to live photo and export to the HD gif. It requires iOS 10.0 or above to run on. And it’s fully compatible with the iPhone, iPad and iPod touch including the latest iPhone Xs and iPhone Xs Max. Now it’s time for you to download any of these apps to get a beautiful live wallpaper for your iPhone X. One thing you should be aware is that using these live wallpapers apps will consume more battery than the default ones. and also let know in the comments below which application you like the most.